Your cats won’t use the litter box, and you’re beyond furious with them. But don’t get angry, get creative. Approaching the problem from the cats’ point of view is sure to bring a faster resolution than anger will. From such simple fixes as taking the top off a covered box to more elaborate ones, these are proven strategies that work. But first, some litter box basics. Cats can be even pickier about their bathroom facilities than humans are. And they don’t like dirty bathrooms any better than we do. If your cats won’t use the litter box, take a hard look at that box through their eyes. Do you see clean places to walk when they step into the box? Does they have room to move around? Can they see an escape route from the box? Does the box smell like them, not perfume? Is there enough litter to dig in, but not so much they sink up to their ankles in sand? Is the box in a location they consider convenient and safe? If your answer to all of these questions is yes, your cats probably have the perfect potty. If even one answer is no, you have some tweaking to do. If your cats won’t use the litter box, call on your inner detective to try to understand why. You’ll be more likely to solve the problem if you understand what caused it. Here are 11 reasons why cats won’t use the litter box. Use them as clues to help you figure out what’s causing problems at your house. The box is in a location the cat doesn’t like. Health issues: Urinary tract infections and bladder stones and crystals can be so painful they can cause cats to not use the litter box. Diabetes, hyperthyroidism and kidney disease can all cause cats to urinate so often and in such volume they can’t always get to a box. And older cats with arthritis often have difficulty getting in and out of a litter box. Assuming your cats are in good health, here are some ways to encourage them to use their litter boxes. Relieve stress. Stress is the most common reason for cats not using the litter box. Scatter boxes around your house so the cats can always get to one without competing with everyone else. Take the tops off your boxes. Cats like to see an escape route from the boxes, and that’s not possible if the boxes are covered. 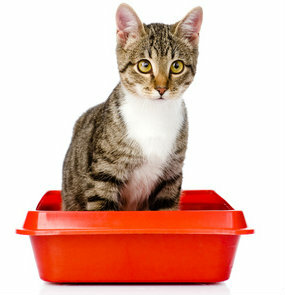 It’s possible that you can resolve your cats’ litter box issues simply by relieving stress. Think about giving these stress relievers a try. If your cats are strictly indoors, think about getting them outside. Take them out on harnesses and leashes, provide some supervised outdoor time or consider building them an outdoor enclosure. Being outside is a great stress-reliever for cats, and it lets them mark their territory on the grass instead of the rugs. Relieve boredom by providing a stimulating and interesting indoor environment. Bored cats often become stressed cats. Resolve space issues in multicat families. High places for perching and low places for hiding create the feeling of more room and relieve stress. Play with your cats with an interactive “wand” or “fishing pole” toy. Several vigorous play sessions each day will burn up energy and relieve boredom and stress. Bach Flower Remedies are homeopathic remedies that restore a cat’s sense of balance and well-being. 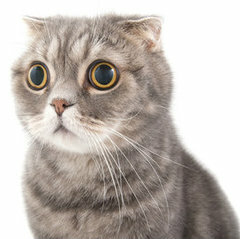 They cause no side effects and will not make your cat seem or feel like he’s drugged. If all else fails, ask your vet about Prozac or another anti-anxiety drug. They do work!